Use one of your old shutters to make a cute console table! Paint it a colour that matches your interior and get some wood for the legs. There is a detailed tutorial done by HGTV that is linked underneath the picture above. A great addition to your home. 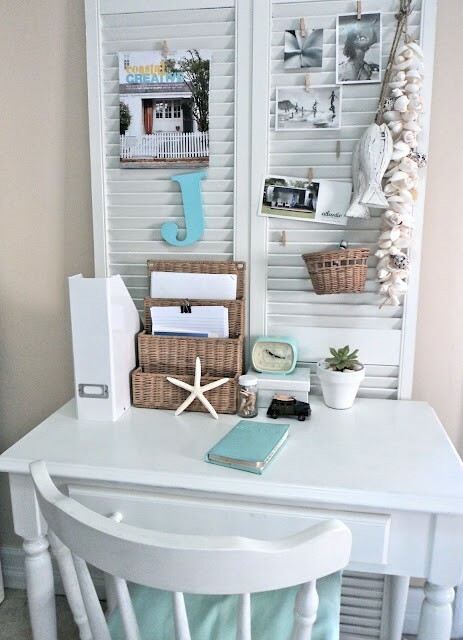 Another way to use your old shutters is to make an organizer where you can hang decorations and/or pictures. Making this is fairly easy, just attach two old shutters together and paint it your preferred colour. It makes a cute and useful decoration in your home office! A little more advanced than the previous examples, but a great addition to your home or garden nonetheless. 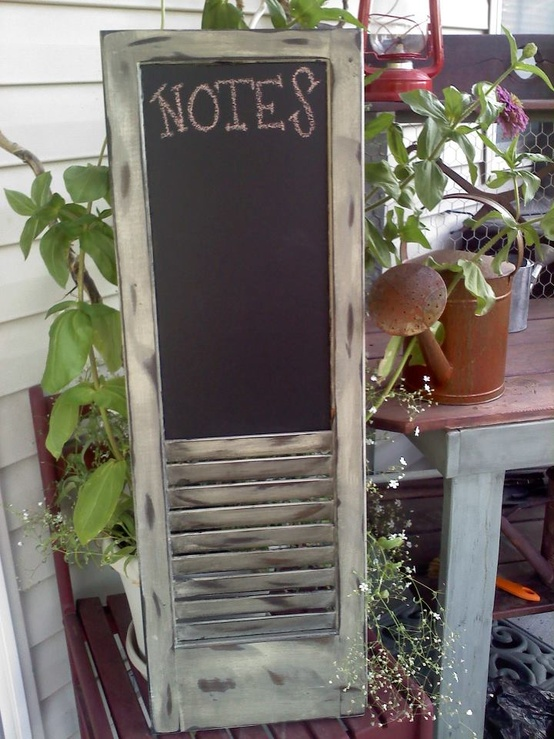 Get a chalkboard from your local craft store and attach it to one of your old shutters and paint the shutter whichever colour you like. Great for keeping notes and/or to serve as a place where your guests can leave a little note after visiting. 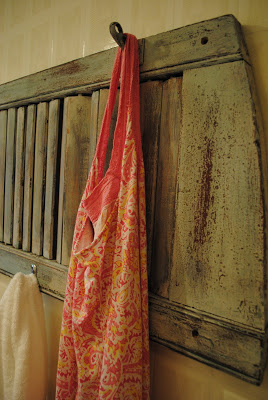 Use your old shutters to make a nice coat rack for your home. Paint the old shutter your preferred colour and get some hooks from your local home hardware store and attach them to the shutter. Voila, you have your own customized shutter coat rack! Customer service is something we pride ourselves on. We always strive to give our clients the best possible products for their home and will do whatever it takes to make our clients happy and satisfied with our products. We began manufacturing shutters in 1985 and having been serving clients in Toronto, Woodbridge, Thornhill, Mississauga, Richmond Hill, Newmarket and Markham for over 25 years. We use computerized machinery for precision, but all shutters are hand finished for a high quality look and feel. All installations are performed by factory-trained installers, who are also fully experienced in working within our customer’s homes. Please contact us for any information you might need.